I was in a bike crash, do I need a lawyer? Well, it's complicated. If your injuries are not severe and you are a reasonably well organized person with the time to do so, you could pursue a claim on your own. That said, I get calls fairly often from bicyclists who attempted to handle a claim on their own but then felt overwhelmed by the task and unsure if they were being treating fairly by the insurance company on the other side. Sometimes I agree to represent them and spend a good bit of time trying to fix mistakes that were made. Let me state the obvious at the outset of this post, I am a lawyer who represents injured bicyclists for a living so it is of course in my interest to discourage people from representing themselves. 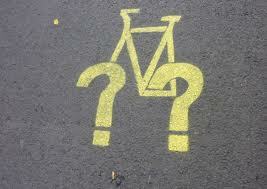 But, I am often asked the question by bicyclists who have been in crashes whether retaining me is necessary. I always try my best to answer that question with complete honesty. I have to. If I do not think I can help guide a client to a positive outcome that client is going to be angry with me later. There is simply no point having someone happy at the outset because I have agreed to take their case, but have them turn bitter later. That is no way to run a practice or to foster goodwill within the community I am committed to serving. Severity of injury: Following a crash your injuries may be severe so as to render you physically unable to do what is necessary to initiate a claim. Broken bones, torn ligaments or worse are physically and mentally taxing. Bad injuries require convalescence and sometimes mind clouding medication. Your injuries may require you to focus on getting well and little else. Dealing with an insurance adjuster in that context would be unwise. In this instance, do yourself a favor and hire an experienced personal injury attorney. A good one will even come to your home, or where ever you are, for a consultation that should cost you nothing. Do you understand your rights as a cyclist: Many bicyclists are very familiar with the rules of the road as they apply to them. They are no secret and nowadays can be found easily: Click here for a link to the relevant City of Chicago municipal ordinances and here for the applicable Illinois statutes. If the facts of your case are very straightforward it may be relatively simple to find the correct ordinance or statute violated by the offending driver. Bear in mind though that being able to read the law is not the same as being able to understand it and apply it to a given circumstance. In our current age information and data is cheap or even free. But analysis and application are still worth paying for. The insurance company will not make it easy for you to pursue your own claim either. For example, many times I have seen a bicyclist doored by a driver -- almost always a clear case of negligence on the part of the motorist -- become convinced that he or she is the one actually at fault for running into the wayward car door. You may even be pursued to pay for the damage to the car. Insurance adjusters seem to have a way of performing a Jedi mind trick on bicyclists to get them to believe that they are the ones actually at fault though the driver was the one who was clearly negligent. An experienced attorney not only knows what the law is, but is confident about his or her client's rights and has spent many years applying the law to a given set of facts both to insurance companies and juries. Do you have the time and patience to collect all of your medical records and bills: To resolve a claim the insurance company will require you to submit all of your relevant medical records and corresponding bills. That's fair. They are entitled to look at proof of your injuries and what care and treatment cost. Getting your bills and records should be a simple affair. Unfortunately, it often is not. No, it is not rocket science, but it can be time consuming and frustrating. For example, hospital records are generally acquired by writing to the hospital's medical records department. The law gives them 30 days to respond but often they do not do so. Follow up calls must be made constantly. Once the hospital responds, they may not provide all of the relevant records. You will need experience reviewing medical records to appreciate what may have been left out. Also, there is generally a fee for medical records. A one inch stack of records may cost $100. An attorney's office will pay that fee for you then simply be reimbursed at the end of the case. Billing is a different story. Patient accounts are often handled off site by companies hired by hospitals. Also, hospital facility charges are often handled by a different entity than are the physicians' charges. You will need to track down not just the hospital's bill, but the bills from the radiologist, pathologist, emergency room physician, etc. As I noted, it can be daunting. Do you have the time and ability to collect evidence: You know what happened. After all, you were there. But can you prove it? Insurance companies and juries will not simply take your word for how a crash occurred. Physical evidence and witness statements must be obtained. The first place to start is with the police report. A copy can usually be obtained online. The report will sometimes contain the names, addresses and telephone numbers of witnesses, if the responding officer actually canvased the scene properly. Those witnesses must be spoken to fairly soon after the incident, while their memories are still fresh. You may even want to get their statements in writing. Also, the scene, the bicycle and the motor vehicle involved (if there was a vehicle involved) should be photographed. That should be done before damage is repaired. The location and nature of the damage will sometimes provide important evidence regarding how the crash occurred. Do you feel comfortable negotiating with potential lienholders: What's a lien? Well let me tell you: A lien is basically an encumbrance on property. Put another way it is the right a person or entity has to your property until a debt you owe to that person or entity is satisfied. For example, if you go to the hospital following a crash you may not have insurance or the ability to pay the hospital's bill. Therefore, the hospital my send you, or your attorney, a lien on your claim against the driver that hit you. You will then be legally obligated to pay that lien from a settlement received from the driver before you may receive any proceeds from the settlement. Many times the amount of the lien may be negotiated, but there is a pretty substantial body of law regarding when and how that may be done. A good attorney should help you deal with lienholders in order to maximize your net recovery. What will you do if the claim cannot be settled: You could, of course, file a lawsuit, suing the person at fault for your injuries. It is possible to do this yourself. That is called filing pro se. In very small cases, worth say hundreds of dollars, it may not be a bad idea to file a lawsuit in small claims court. However, in cases involving significant injuries I cannot recommend pursuing a lawsuit on your own. There are too many technical requirements to satisfy and pitfalls to avoid to make doing so a viable alternative. I for one have spend 15 years litigating personal injury cases and have certainly earned every bit of experience I have. This is just a sampling of the hurdles that must be overcome and issues that may arise when pursuing a bicycle injury claim. If you are trying to make an informed decision regarding whether it is worthwhile to hire an attorney you must do a simple risk vs. benefit analysis. Can you afford to lose, and what do you stand to gain? If your injuries are minor and your bills are completely covered then you may wish to give it a go on your own. If not, speak to an attorney. A good and ethical personal injury attorney will only charge you if your case is resolved successfully. You should not have to pay any sort of up front retainer. If you have any questions or if you are trying to decide please feel free to call me anytime at 312.803.0128 or email me at bhk@mybikeadvocate.com. I commute on the Lakefront Path year round. My main concern is always runners or walkers suddenly turning into me without notice, sometimes even after I have yelled out "on Your Left!". I have had this happen about 6 times my six years of commuting, and have prevented many more incidents by closely watching body language and giving several verbal warnings. Fortunately none of us has hit the ground. I always wonder who is at fault in this situation. Can you give some general information on what a cyclist should do after a runner turns into them on the LFT? I personally think that the LFP is one of the most dangerous places in the city to ride, especially during the warm months. There is just too much traffic of varying sorts, some of which you've mentioned. When biking on the Lakefront Path you must check your speed and give others as wide a berth as possible (which, given the limited space, can be challenging). Liability arising from a certain crash can only be determined by the specific facts. Generally, however, all users of the trail owe a duty to all other users to act in a reasonably safe manner. This includes runners, walkers and cyclists.